We are here for you and cater to your needs! Have a question? Need the advice of an expert? Come see us at Harbro Mobile Home Supply. We invite you to stop by and check out our wide variety of products for mobile homes and recreational vehicles. 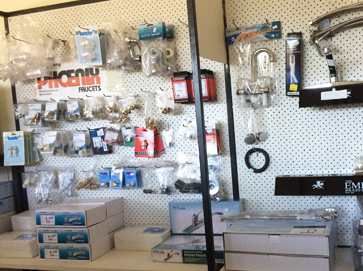 Our inventory of parts and supplies for mobile homes, campers, trailers, and RVs is second to none. You’ll find just what you need for the interior and exterior of just about any make or model. Call ahead to find out exactly what we have in stock. If we don’t have it available, we’ll do everything we can to get it from the manufacturer as quickly as possible. One added benefit of shopping with us is our experience. We’ve served the Rock Hill, SC community for many years. That means our staff has, too. They can provide professional advice on any parts you may need. Not sure what you need? Just ask! We’ll be happy to talk you through your project and help you select the best parts and accessories at the price point you need. We invite you to stop by Harbro Mobile Home Supply and take a look at everything we have to offer. 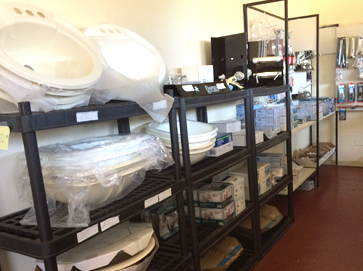 Plumbing, electrical, hardware, ventilation, appliances, awnings, rugs, and mirrors are just a few of the product categories you’ll find when you shop with us. We have RV fluids and other supplies you need for routine maintenance, too. 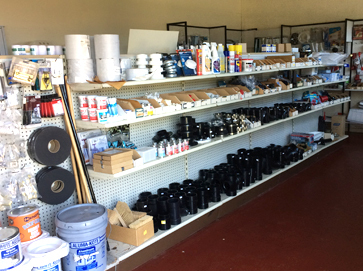 As you can see, you’ll find all the parts and accessories you need for your DIY repairs or upgrades. We’re always here to help you live and travel in style!